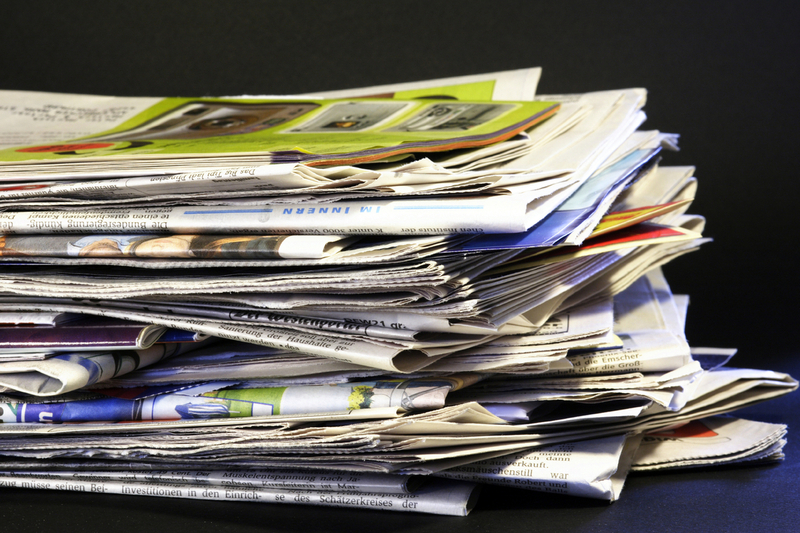 When It Comes To Women's Writing, How Do Publications Stack Up? For the fourth year in a row, VIDA has tallied the gender breakdown in prominent literary journals. 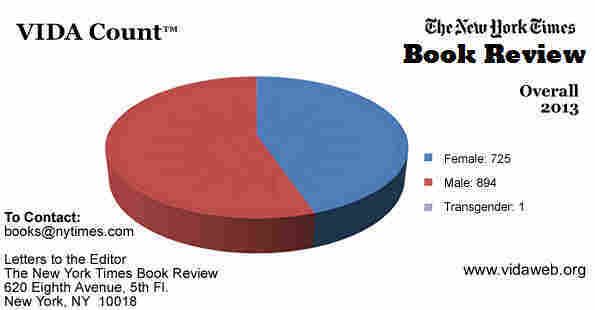 Some outlets, like The New York Times Book Review, have grown more equal; others, not so much. For the fourth year in a row, VIDA has tallied up the gender breakdown in prominent literary journals — counting both reviewers and authors. If it seems like male authors get more attention, there are hard numbers to back that up: The VIDA count. VIDA is a women's literary organization, and the "count" is the result of eight months spent tracking gender disparity in leading publications. VIDA tallies the gender of authors whose books are being reviewed as well as the gender of those doing the reviewing. The VIDA numbers have changed very little over the last four years. The Atlantic, The London Review of Books, The New Republic and The Nation have all had an overall ratio of 75 men to 25 women, including both reviewers and those reviewed. At The New York Review of Books, it's 80-20. VIDA's count director Jen Fitzgerald says the numbers are so clear that they're starting to change the conversation. "We have these stark blue-and-red charts that offer up data, and there's no negating it. When we present it, it's no longer a question of, 'Is there an imbalance?' Now, it's a question of, 'Why is there an imbalance? Do we want to change the imbalance?' " Fitzgerald says. "You know, the initial shock of, 'Oh my goodness, are we really seeing 75 percent men across the board?' to a question of, 'Why are editors OK with 75 percent men across the board?' "
To say that the VIDA count is an eagerly awaited event in the book world would not be exactly accurate. A couple of years ago the editor of the Times Literary Supplement famously said his publication didn't plan to make "a fetish of having 50/50 contributions" by men and women book reviewers. And The New Republic did some research showing that there are more male than female authors, which could explain why more books written by men get reviewed. "I don't know the numbers in terms of what's being published, how many books are by women and how many books are by men," says Pamela Paul, the editor of The New York Times Book Review. The Times showed improvement in this year's VIDA count: In 2013, the number of male and female book reviewers was almost equal, and they reviewed 332 books written by women and 482 by men. Paul took over as editor during that time, and she says diversifying the book review section was a priority for her. "It is not hard work at all. That's the big secret — it's not hard," Paul says. "There are so many good books out there by women, and there are so many incredibly good book critics out there who are women. So I actually have to say that I didn't find it to be an incredible strain. I don't think any of our editors at the Book Review felt that we were unduly burdened." Near the bottom of Vida's list this year: The New Republic, one of the publications that was over 75 percent male. The magazine released a statement acknowledging that its numbers look "more what you would expect from 1964 than 2014" and promising that that this would change in the future. Harper's magazine was also in that 75 percent male group, but deputy editor Christopher Beha says that represents a ten percent improvement for his publication. And he says that in the future some deeply ingrained habits will have to change: "You can have a long-term vision of gender equality, but if you have an institutional history in which you've got a stable of writers who are more male then female ... in the day-to-day, when you're trying to get the magazine out, it's just often easier to rely on the people who you have relied on in the past." But Beha says other changes are needed too. He contends men and women approach the magazine differently with ideas and that may also affect the numbers. "Speaking broadly, of course, a male writer comes to you with an idea and you say 'This isn't quite right for us, try us again.' If I say that 'try us again' in the email, I may get a response the next day with three new ideas," Beha says. "And there is a tendency, I think, among female writers to emphasize the 'this isn't right for us' part, rather than the 'try us again' part." VIDA's numbers may have raised awareness of the problem of gender disparity, but the conversation on how to solve it continues.